Every year, over 2,200 bright-eyed freshmen arrive in Brookings to begin their journey at South Dakota State University (SDSU). 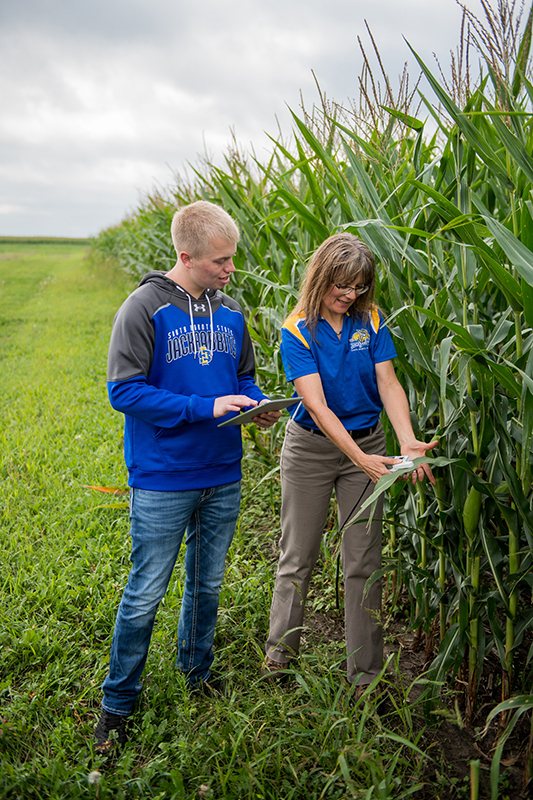 Many choose to become a Jackrabbit for the school’s leading programs like nursing, engineering and social sciences, but one in particular is setting the bar high for universities across the country. 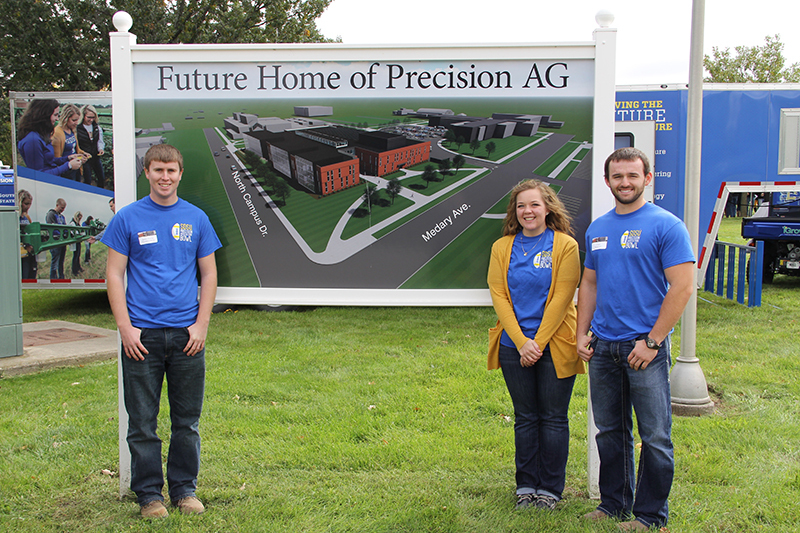 SDSU is home to the nation’s first and only four-year precision agriculture degree and, as of this fall, has broken ground on a new facility that will be dedicated to developing new precision technologies. At Hungry For Truth, we’re always excited to share how South Dakota’s farmers are improving the way they grow our food so it’s great to know SDSU and their partners are investing in ways to keep the advancements coming. Today’s precision agriculture technologies have allowed farmers to become more efficient with their resources, more accurate when monitoring and treating their fields, and better at interpreting data. SDSU’s Raven Precision Agriculture Center will build upon what’s already happening to prepare the next generation of tech-savvy young farmers to grow and raise food in safe and sustainable ways. Precision agriculture innovations also allow farmers to be more responsive to the wants and needs of those purchasing their products. For example, traceability technology could provide new opportunities to connect grocery shoppers with the farms from which their food comes, so they can know how and where it was raised. South Dakota is special for many reasons, but being a world leader in precision agriculture and helping to improve the global food system is another reason to feel proud of the state. “We are helping guide the conversation and paving the future path of food production for, not only our state and nation, but for the world,” explained Dr. Killefer. 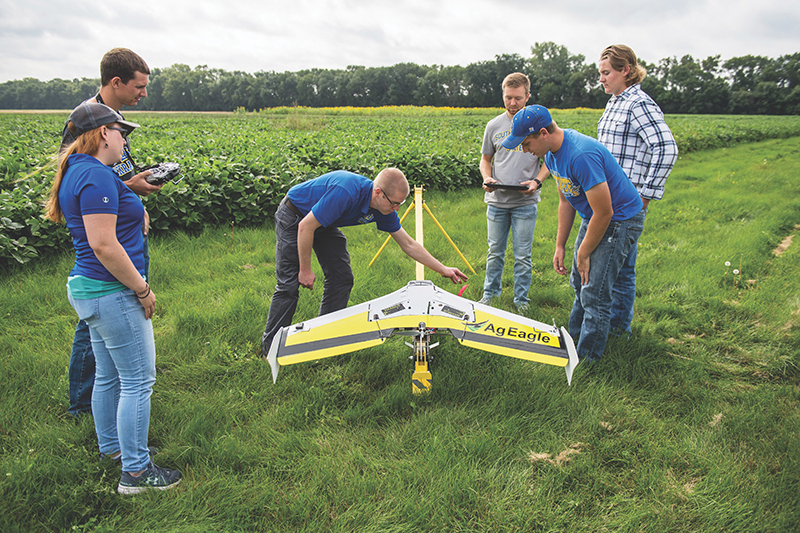 “South Dakota farmers are some of the earliest adopters of technology, which made SDSU a great fit for this type of investment,” said Dr. Killefer. 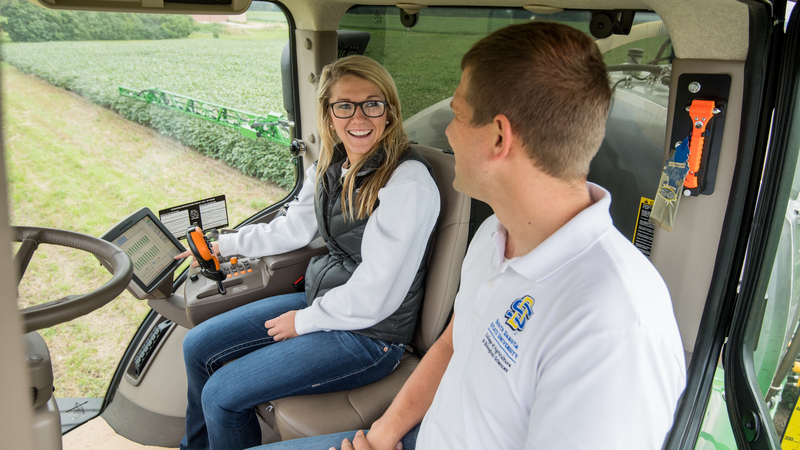 The same can be said for South Dakota students as well with about 70 of them currently pursuing the precision agriculture major and another 70 working toward the minor. According to Dr. Killefer, the university has gained attention from students and organizations across the country who are interested in the program and the faculty’s unique expertise. 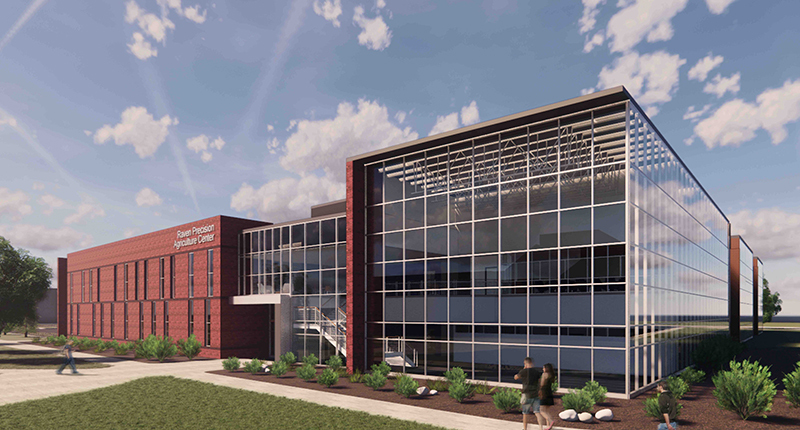 University committees are working to lock in final design details of the Raven Precision Agriculture Center over winter, but visual construction will be evident by spring and the center should be ready to welcome classes in the fall of 2021. With 129,000 square feet of space for hands-on learning, collaboration and research, the center will be the birthplace of many game-changing innovations in the future. Want to learn more about how precision agriculture is improving sustainability on South Dakota farms? Read how it helps Matt Bainbridge during planting and how Ram Farrell uses data and technology to conserve resources. 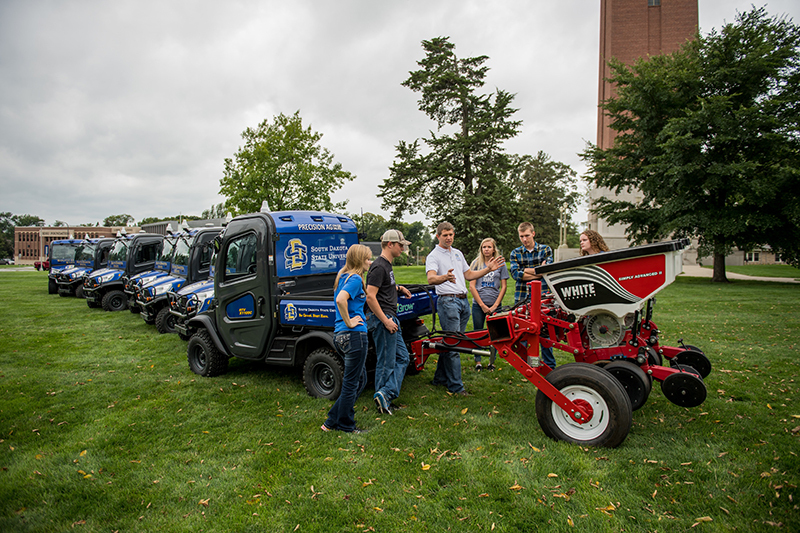 Photos courtesy of South Dakota State University.